German brand Mercedes Benz unveiled the new pedigree of A-class, Mercedes-AMG A35 in Paris. 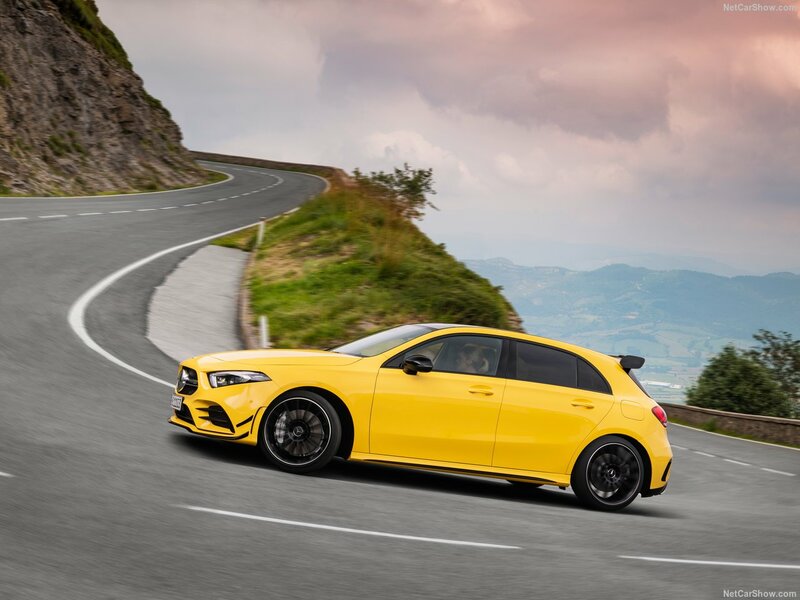 Having said that, the A35 is interesting but there is more juice in the news that directly comes from AMG’s boss Tobias Moers and it is all new A45 AMG. The uber hatchback from Mercedes-Benz recently got a tiny boot and entered into a limousine category. Meanwhile, at Paris motor show the sporty yellow coloured A35 stole the spotlight of other small cars. It’s basically an A-Class with a tracksuit. There is more coming later this year and its the A45 AMG with 400 horses. This will be A-class after the serious workout and not just tracksuit. 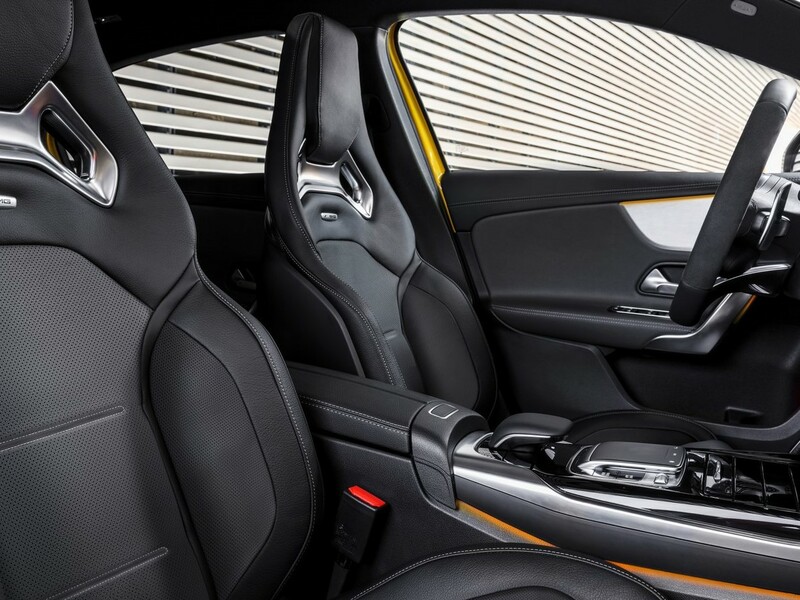 All new A45 AMG’s 400 horses will be coupled to the 8-speed automatic dual clutch gearbox. Indeed the fast-shifting will make null to 3 digit numbers achieve in less than 5 seconds. Thanks to all new 4Matic drive train that will also join A45. This drivetrain is specifically designed for MFA architecture and ensures that 50% of the power is sent to rear wheels when needed. While A35 is just targetting to VW Golf GTI with similar power output, new A45 will also take on some serious competition like Ford Fiesta ST and yes, it’s coming with a drift mode. Well, not exactly like a drift brake offered by Ford but new drift mode will be much like E63’s drift mode. The new suspension setup designed just to keep this hot hatch stable in all extreme manoeuvres. A45 AMG has gone serious makeover of chassis as well that we will just feel during the drift. Another Daimler official also mentioned that the A45 AMG will join the S version just like other bigger lineup from the Daimler. This could be A45 S -the limousine version of A-Class. 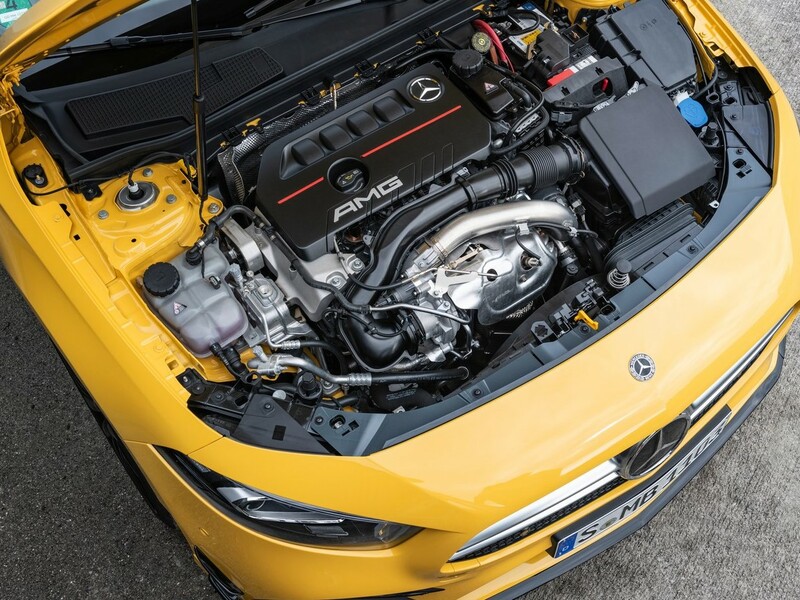 New MBUX in A45 AMG will be different than the A35 and regular A-Class and the company says that it will display more sporty driving specific information. This makes us really happy.